When I began reviewing beers for 10,000 Birds, I knew I would eventually get around to writing about the Mendocino Brewing Company. 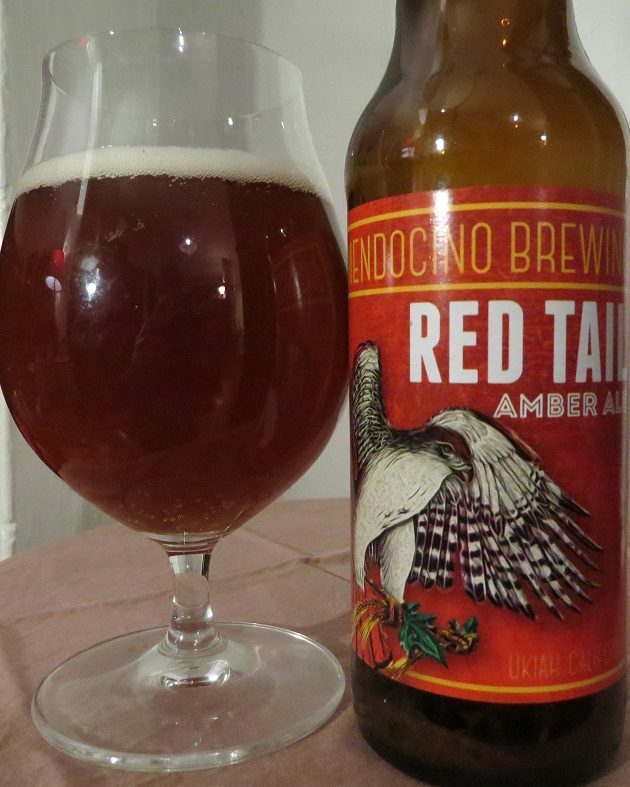 While I’m happy whenever a brewery has just one bird-inspired beer, Mendocino offers an entire range of beers named for birds, with each bottle handsomely adorned with a namesake bird. And these aren’t kitschy or ironic cartoon birds, or highly stylized logos, or some other over-the-top exhibition of artistic whimsy – as much fun as these designs can be – but sincere and recognizable portraits of actual species. Some of the more detailed illustrations could almost be worthy of a field guide. Except for their Blue Heron Pale Ale, all of Mendocino’s bird-inspired beers are named for raptors: there’s a Peregrine Pilsner, Black Hawk Stout, White Hawk IPA, and a Red Tail Amber Ale, their flagship product. Mendocino has been around for ages – at least as far as craft breweries go – having opened its doors in 1983, back when this reviewer was still drinking out of a sippy cup. Their beers have been a steadfast presence on shelves as far back as I can remember, and I just assumed they would be around forever. Of course, I had great plans to review the entire Mendocino line-up of bird-named beers sooner or later, but I was in no particular rush: I figured I could always fall back on one of their beers whenever I failed to happen upon some new, flashy birdy beer to review. 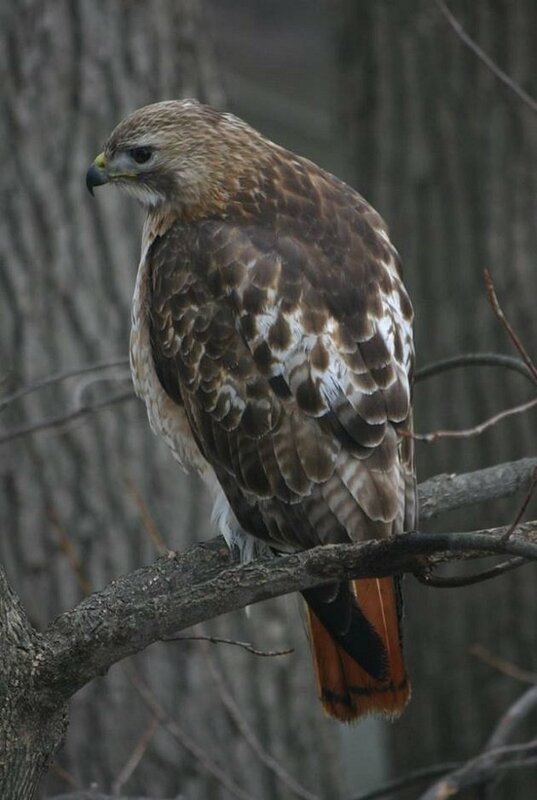 Considering it’s probably the most common hawk in North America, the Red-tailed Hawk (Buteo jamaicensis) makes very few appearances on craft beer labels. So, I picked up a 12-pack of Mendocino earlier this month with the intention of dashing off a few standby reviews to stash away for a rainy day. However, that very week came the unfortunate news that the Mendocino was shutting down along with its New York sister brewery, Saratoga Brewing Company. Articles covering the impending closure have placed some of the blame on industry-wide trends of overzealous expansion and an increasingly fragmented and localized craft beer market crowded with over 6,000 breweries in the United States at last count. With a slowing beer market in recent years, older “legacy” breweries with lots of overhead are finding it difficult to compete in a shrinking market with newer, smaller outfits. In the case of Mendocino, it seems that troubles at the top levels of management are also to blame: its majority stakeholder is on the lam in London facing extradition to India to face charges of financial fraud and money laundering. There are rumors of investor interest in saving Mendocino, but for now the future of this classic brewery is uncertain. Mendocino’s beers have always taken advantage of the brewery’s prime location in the hop-growing country of Northern California – first in the aptly named town of Hopland, before moving down the road to nearby Ukiah. While Red Tail Amber Ale was probably considered quite hoppy when it debuted in 1983, it’s since settled into the middle of the pack, offering a comfortable balance of malt and hops that truly exemplified the flavor of craft beer for many years. I daresay this is a balance missed by many beer drinkers who feel abandoned by a widespread move in craft brewing towards extreme flavors and unconventional ingredients. 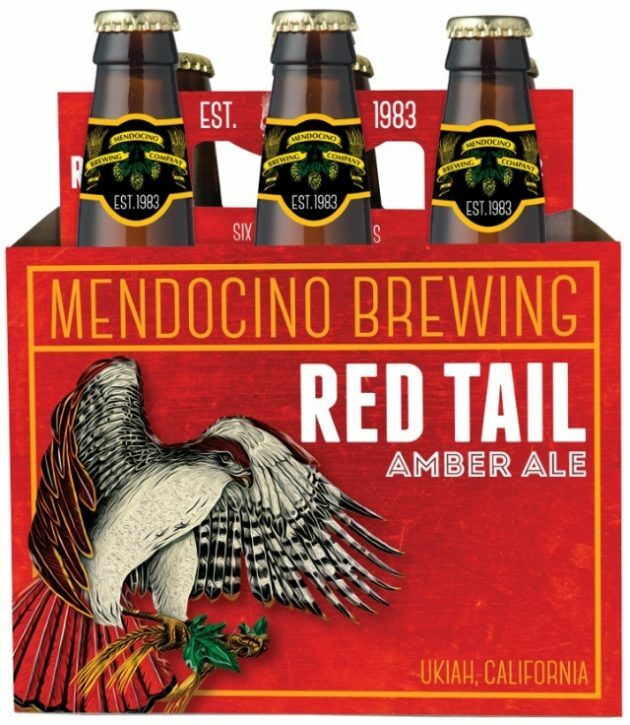 Along with the rest of the Mendocino line-up, Red Tail Amber Ale is a genuinely unpretentious beer for everyday drinking, an idea that at times seems old-fashioned in our current era of waxed bomber bottles, “imperialized” styles, “large-format” beers, barrel-aged everything, and the ultimate marriage of recent craft beer trends – the sour IPA. Of course, innovation is part of what makes craft beer so much fun, but I think it’s important to enjoy old favorites and admire the skill that goes into crafting a a modest pint with depth and character that exceeds the sum of its parts. Like the tail of its namesake, Red Tail Amber Ale is a warm shade of auburn that glows with just the right light behind it. The steady, off-white head effuses fragrances of black tea, citrus rind, and earthy honey, with hints of thyme in the herbal and grassy hop bouquet. Malts contribute the caramel and toasted bread flavors expected of such a ruddily tinted ale, while the restrained hopping is by turns resinous and fruity, recalling Earl Grey bergamot and even the perfume of ripe strawberries. The finish is bitter and tea-like, but not overly dry. I’m not about to make a trivial analogy between the looming demise of a brewery and species extinction – and for now, it’s still possible to find Mendocino beer for sale – but you might want to pick up a six-pack before a bit of craft beer history disappears for good. Oh, this is sad. I’ll have to look for all their beers before they disappear, forever. Thanks. It is sad – I’ve since read that the brewery has completely ceased production and laid off its workers. I’ll miss seeing their colorful bottles on the shelves.